It’s rated one of Sydney’s hidden gems – but Cromer Golf Club makes no secret of its bold bid to attract new members. 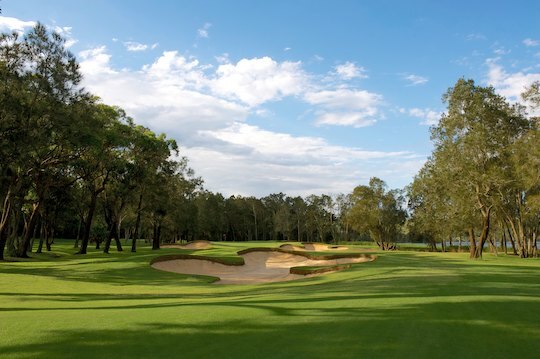 The Northern Beaches club has turned the Sydney golf club membership model on its ear. Rather than the traditional three, four, five and seven-day membership structure and and outdated male/female split, Cromer has moved to a single full playing membership category giving both male and female members the same level of access to their private course. Full playing membership is now a $2,750 annually, for everybody. Full playing members have access to all competitions with no charge for casual golf in the afternoons. The proposal to change the club’s constitution was put forward to the Cromer membership at a general meeting of about 300 members. The response was overwhelmingly positive with Cromer members now enjoying increased flexibility as to when they can play golf. During the week the male Wednesday competition remains as well as the Monday morning and Thursday morning female competitions with all other competitions open to both genders. And when one female Cromer member asked: “Will this mean the club will be removing the two locker room signs saying members and associates?” the answer was a resounding “yes”. In 2011 the club replaced the putting surfaces for all 18 course greens. The new grass chosen for the greens was A1/A4 bent grass which is the ultimate species for the Sydney climate. These new greens are being nurtured by course superintendent Leon Hennessey.